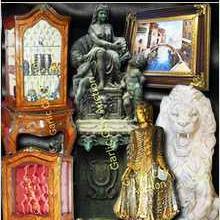 Garlic City Auction (GCA) is a full service Estate & Business Liquidation company. The service that we are most proud of is our Complete Clean-outs. We'll sell the coffee cups and everything in your cabinets to the rare German Porcelain in your curio showcase. Thus, leaving your home or business ready for the next step. We have been conducting auctions in San Francisco, Oakland, Monterey Bay, Carmel and everywhere in between. Garlic City Auction has the ability to sell to the nation, not just your neighborhood. GCA uses the latest internet technology to inventory, photo, catalog and produce bidding catalogs for the world to see. Not every estate needs all the latest technology, but its nice to know that we can provide you with the resources and advertisment to make your sale a success. And sometimes, just good old fashion hard work will do the trick. Preview at 10:00am Auction 11:00am Photos will be posted Thursday by 4pm. Preview is Saturday January 5th @ 9:30am Auction at 10:30am You will be able to bid on-line as the auction proceeds. BLACK FRIDAY AUCTION 9AM - Antiques, Tools, Crystal , Porcelain - Enitre Home! Preview at 9:00am, Auction at 10:00amMore items will be available not seen in photos. WOW! Antique Dealers 20yr. 5Ksq. ft.. Warehouse Liquidation- Antiques, Asian, Furniture, Porcelain, Glass, Rarities! HUGE HALLOWEEN AUCTION - STORE CLOSED! Estate Auction - Race car Mechanic: Tools, Home Goods, Everything Goes in 1 day! OMG! EMERGENCY AUCTION - 3000 Comic Books, Thousands of CARDS, Display Cases, STORE CLOSED! This company has posted a total of 497 estate sales. Only the most recent 50 sales are shown.